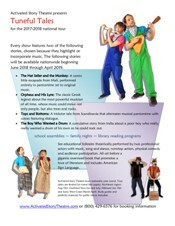 Please visit the booking information page for details and send us an email to schedule program or request more information for your school. "I loved the show and my children did too! I loved the use of imagination with the props. My children were full of laughs and really engaged."